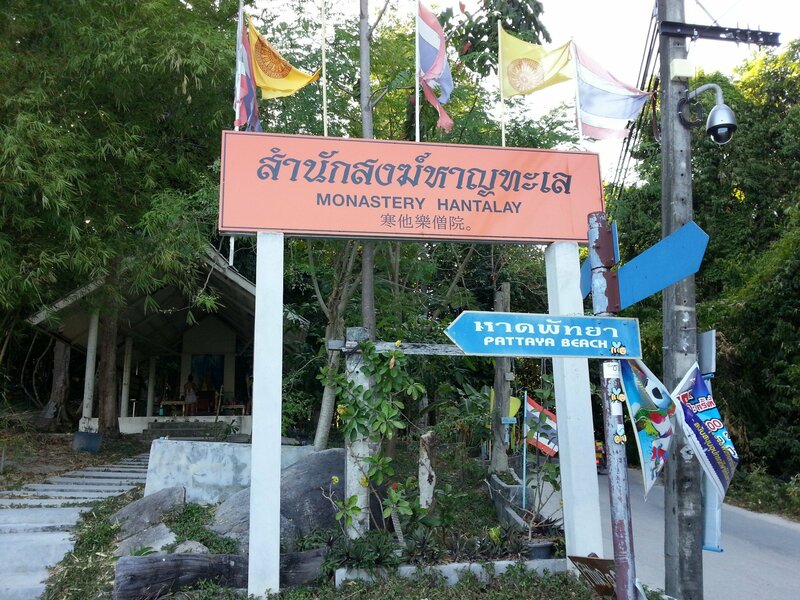 Wat Hantalay is the only Buddhist temple on the small island of Koh Lipe. Wat Hantalay is located on the road between Pattaya Beach and Sunset Beach and its worth stopping as you pass by on your way between the two beaches to have a look around the temple. 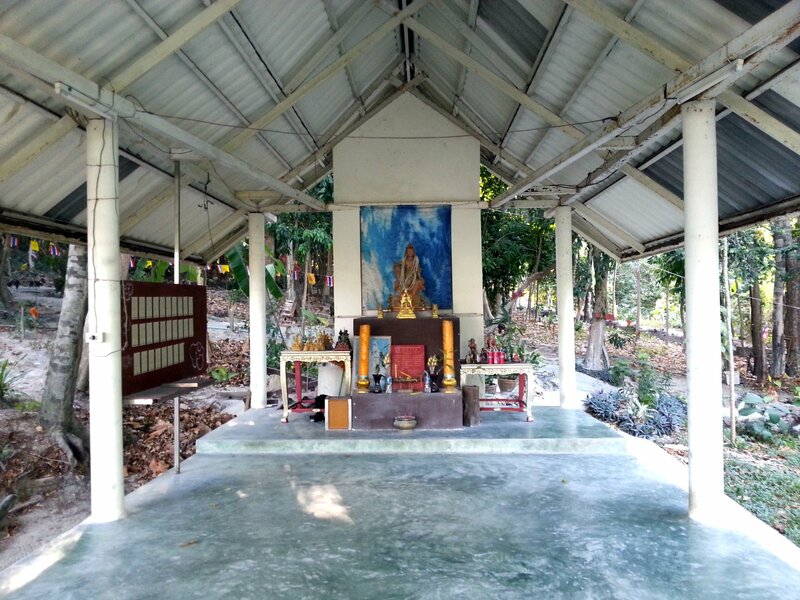 Wat Hantalay is a very small temple set within a forested area. It is not entirely clear whether there is a permanent population of monks living there, however, the temple is maintained and has some interesting features. 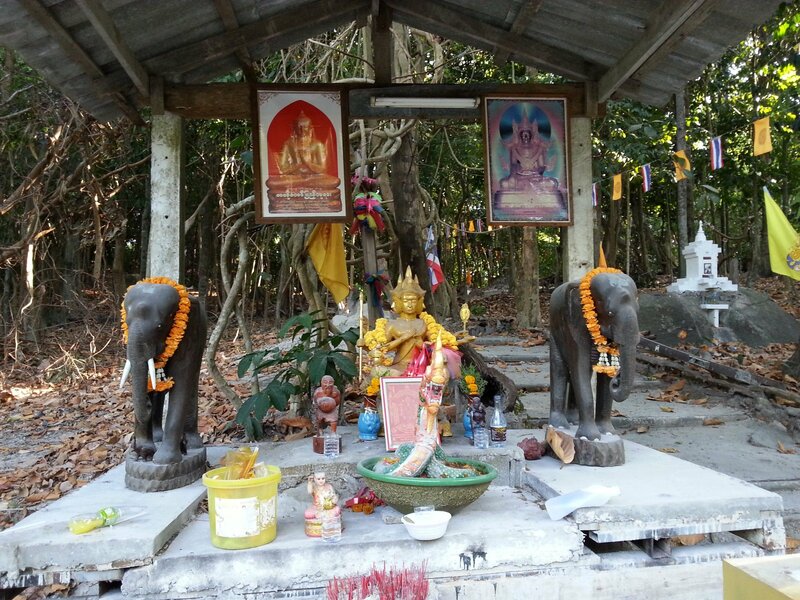 Koh Lipe has a very small community of Buddhists living there. Koh Lipe was first populated by the Chao Ley (also known as ‘sea gypsies’ or Urak Lawoi in Malay) who practice their own religious rites based around ancestor worship and holding the natural world sacred. 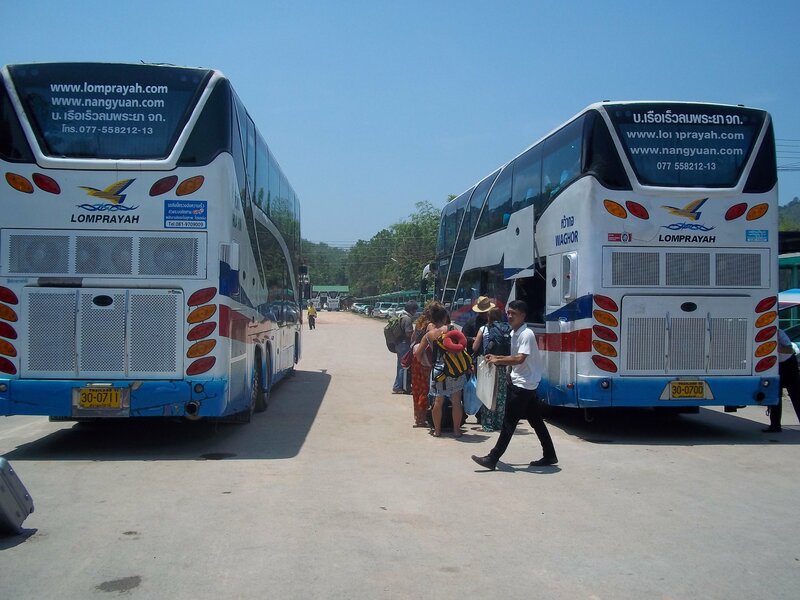 In the time since the arrival of these early settlers the island has also seen an influx of Thai and Malay Muslim people come to work in the tourist industry, but not that many Thai Buddhists and the small size of the Wat Hantalay reflects this. 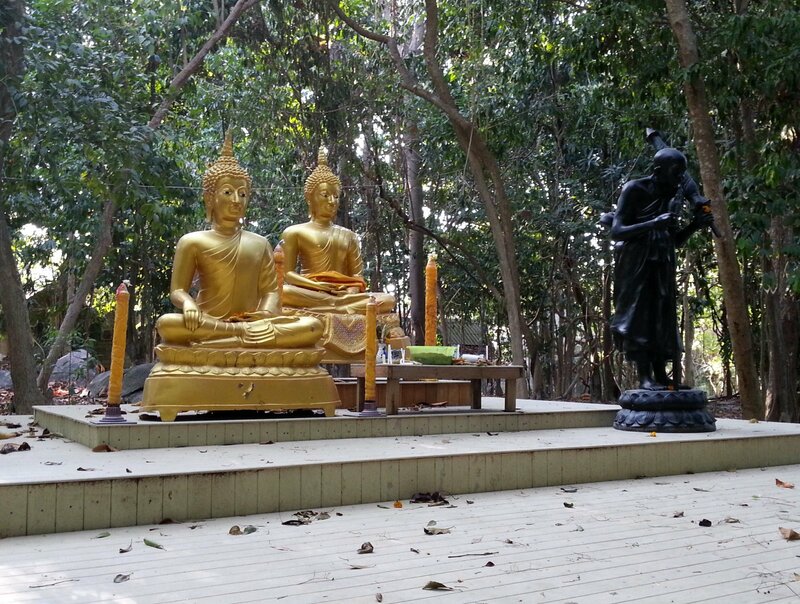 Beyond the shrine halls at Wat Hantalay are more shrines located amongst the trees. 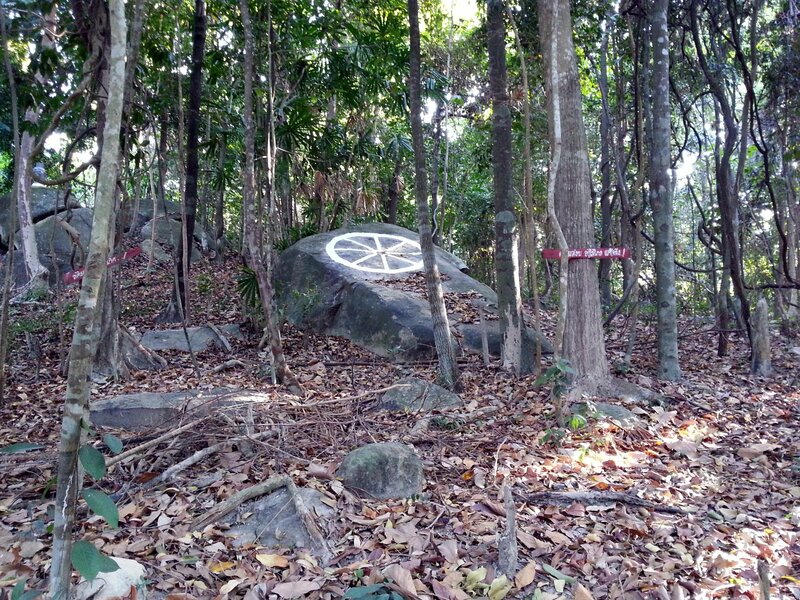 This forested area is atmospheric and has small statues, signs with Buddhist proverbs, and paintings on the rocks scattered around a path which winds through the jungle. 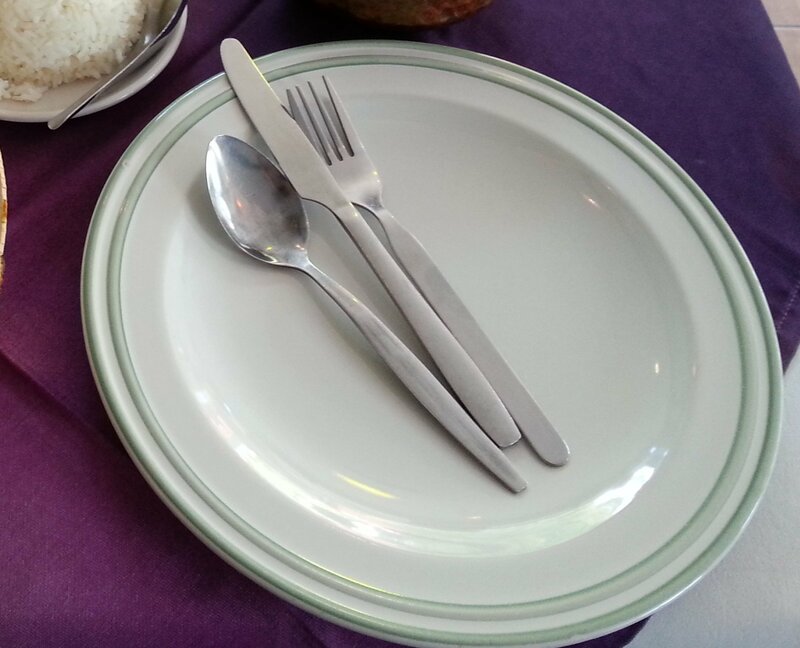 A couple of words of advice about visiting Wat Hantalay. Firstly, there are daytime mosquitoes in this temple so consider wearing insect repellent. There are also semi-wild dogs residing at the temple which you should stay away from. 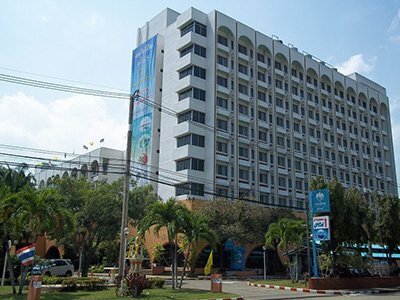 Wat Hantalay is located 350 metres walking distance from Pattaya Beach.